Similar to the 'duffle' style carrier, manufactured from a thick gauge polythene, with braided coloured rope through folded turn over top. You can have a double drawstring, or centre drawstring although the more complicated designs like these have higher minimum quantities. Available size: Ask for details, the sizes on this product vary. Duffle bags shown in image - drawstring bags do not loop through the base of the bag. The minimum order quantities are 1,000, although the available options are more limited than if order more than 3,000. 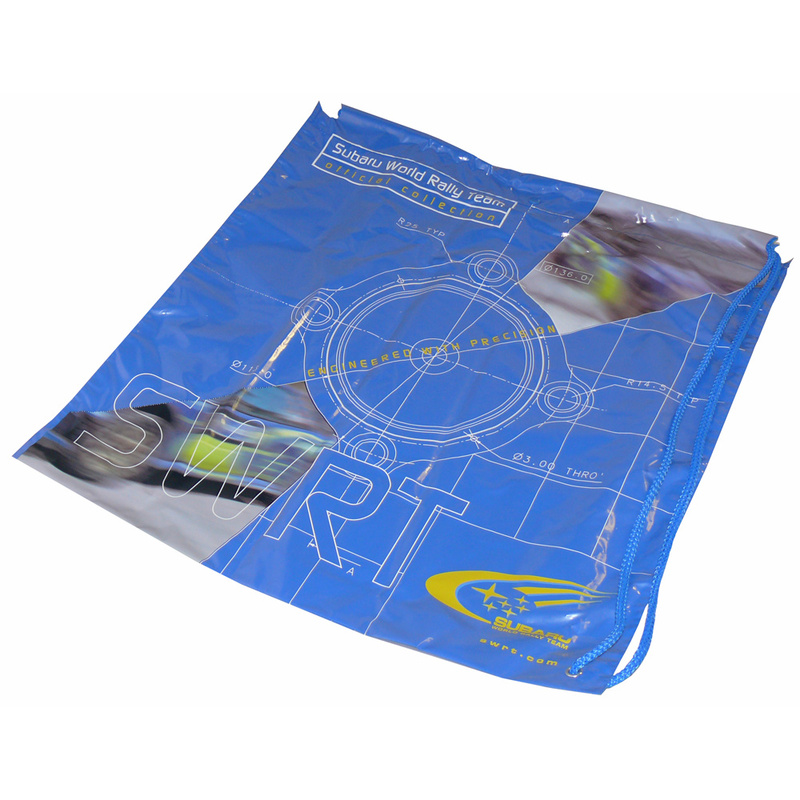 The softloop bag or flexiloop bag is similar to a patch or varigauge carrier bag. The difference being the handle. On the patch or varigauge a handle is created by punching a hole at the top of the bag. For the production of a softloop or flexiloop carrier bags, the handle is created by adding a loop of polythene material to the top of the carrier bag. These bags are manufactured all over the world. We source our supplies subject to the quantity and lead time you require. 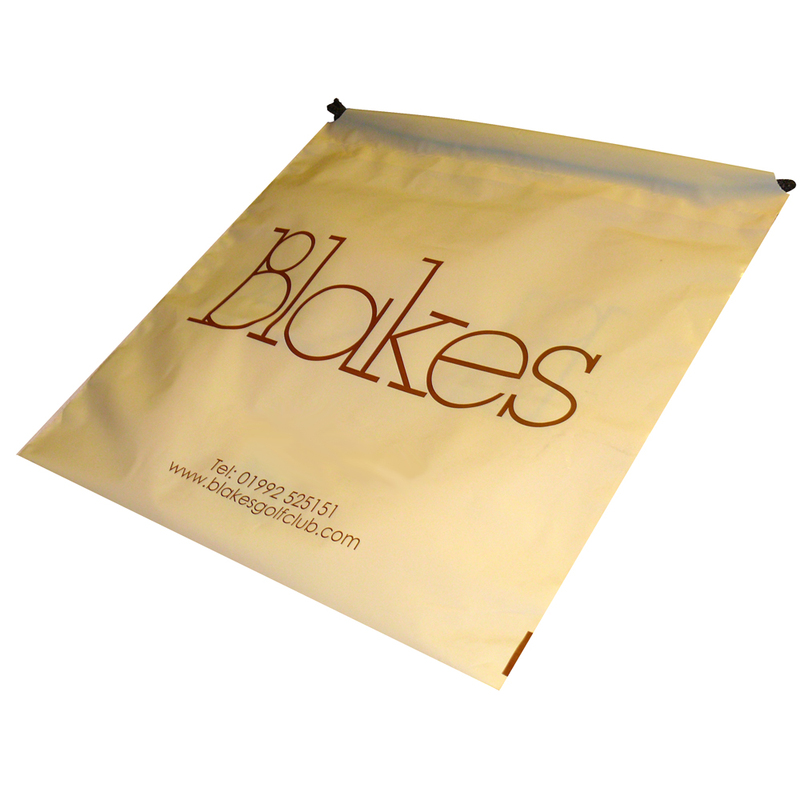 The softloop handle gives an added appearance of quality over the punched hole handle style carrier bags. 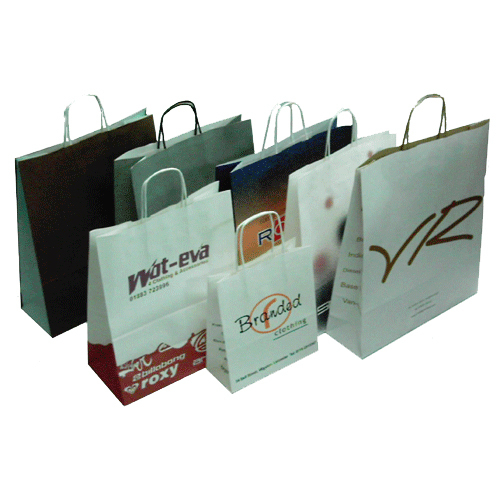 Twisted handle SOS Paper Carrier bags are a machine made paper carrier bag. These are ideal as an environmentally friendly product as the entire bag is manufactured from paper and adhesive and will decompose completely. The bags themselves are string enough to hold a surprising amount of weight for prolonged periods of time. The thickness of paper, size and finish of thebag does affect the performance. Material: White or brown paper, ribbed textures available. Some recycled papers also available. Handle: Twisted paper - colours are optional. this can also be produced in a fabric cord. Finished: Optional extras of matt or gloss varnish. The sample shown here is of a varigauge bag printed onto an Ivory LDPE. The print is a two colour black and red print. Note, when printing onto coloured LDPE, the base colour can affect the finished ink colour. This is particularly noticeable for white inks and lighter colour inks. For metallics, black and dark inks, the base material colour affects the printing much less if at all. Printed 2 colours, both sides. 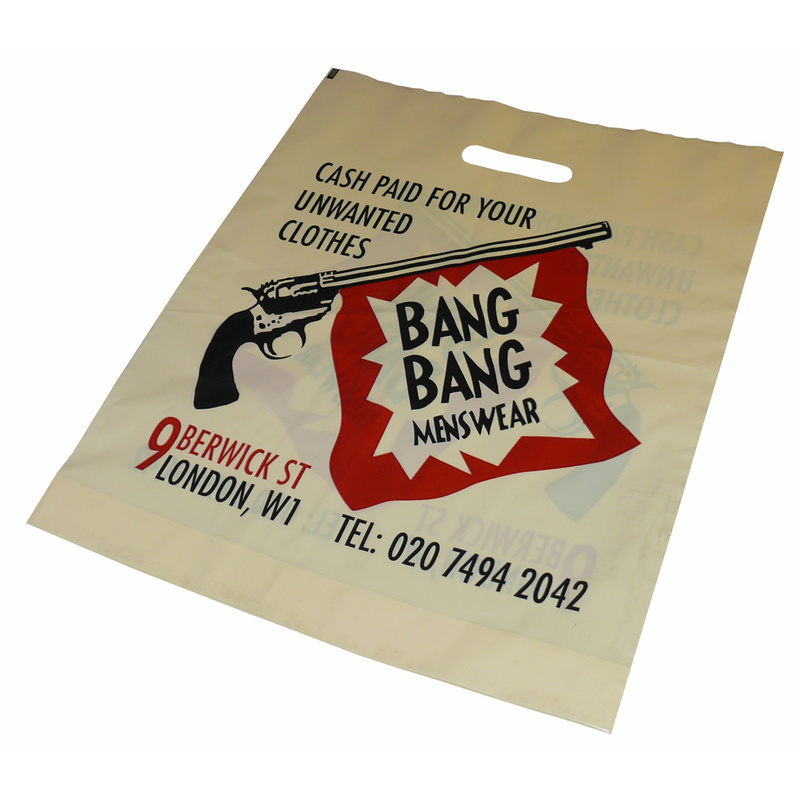 These bags are ideal for exhibitions, promotions, small stores and one off low run prints. They can also be supplied with short lead times, sometimes within 7 working days.